Just take a look around: Our culture vilifies the idea of being “fat,” as evidenced by government initiatives, weight-loss fads, and everyday conversation. In the face of such overwhelming momentum, this prevailing stigma is rarely challenged, but research suggests we’ve been too narrow-minded with our views on weight. Contrary to popular belief, being fat in and of itself may not be unhealthy. In fact, it might even offer health benefits—“fat” and “health” aren’t necessarily correlated in the ways we’ve all been led to believe. Read on to learn why it’s time to take a new perspective on weight. Overweight people were not always derided, and the explanation for this comes down to one key biological fact: We store fat for a reason. Fat storage benefited early humans because the potential dangers of becoming overweight were nothing compared to the very real risk of starvation. Hunter-gatherers were never guaranteed their next meal. Even after the birth of agriculture and the rise of complex civilization, few people feared becoming overweight. In fact, throughout much of the world and for most of human history, being fat was a sign of success and wealth that demonstrated you could afford enough food to add those extra pounds. As food supplies increased in some areas in the late 19th and early 20th centuries, making it less “impressive” to be able to afford to eat well, being overweight gradually became stigmatized and was eventually viewed as a health risk. “Overweight,” as a term, is ambiguous. While measures of “fatness” have shifted over time, the most popular metric at present is the Body Mass Index Scale (BMI) which is notoriously unreliable. 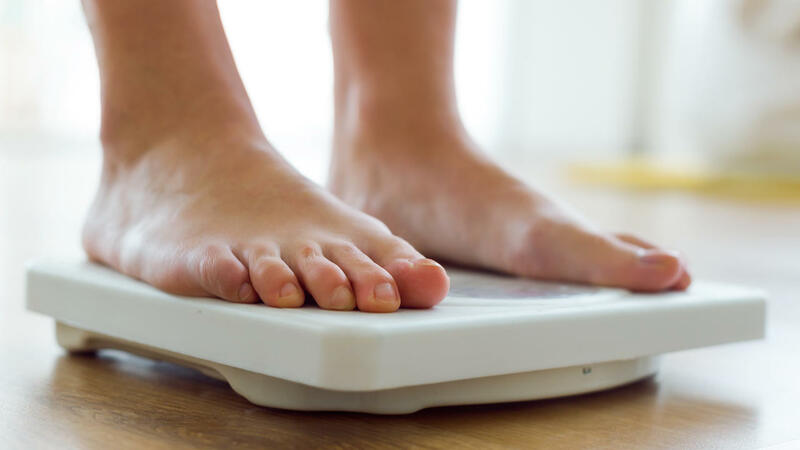 BMI is calculated by dividing a person’s weight by his or her height, which means the metric doesn’t differentiate between fat and lean tissue (i.e. muscle). It’s a rather crude measure of determining fatness that’s really only useful when looking for statistical trends in populations (which is what it was originally designed to do). BMI wasn’t originally intended for determining the health of individuals. It is clear that BMI is inherently flawed as a measure of health. The threshold of danger for being overweight is arguably well beyond what BMI indicators imply, and that danger is still dependent on a number of other health factors beyond weight alone, such as physical activity, genetics, and other lifestyle factors. Besides, even if someone looks thin, they may be ruining their body in other ways, such as failing to exercise or eating a diet poor in nutrition. To put it another way, fatness (as a health issue) is a guessing game. By definition, I stand amongst that group of people who fall under the broad umbrella term of “fat”—plump, carrying a few extra pounds, curvy, big boned—whatever you want to call it. By most people’s standards, I should be worried about my health. But I’m not, in large part due to recent research. Study after study concludes that what affects health most is physical activity and nutrition—not body weight. Study after study concludes that what affects health most is physical activity and nutrition—not body weight. One study even found that being overweight but not obese (defined as having a BMI between 25 and 30) is associated with longer life expectancy than having a clinically normal weight (a BMI between 18.5 and 25). This serves as further proof that a “normal” BMI doesn’t necessarily imply better health. True, there are studies that purport to find the exact opposite results. But if anything, these contradictions demonstrate that it is virtually impossible to conclusively prove that being overweight is bad for a person’s health. In fact, being overweight may be good for us. Several studies have found that excess fat provides much-needed energy during sickness. And a person with low body fat is over four times more likely to die from heart disease as an overweight patient with the same diagnosis. The conclusion is simple: Not only are findings about the supposed health risks of fat inconclusive, they are largely based on a system of measurement that is woefully inadequate. Arguably, this is exactly why the findings are so inconclusive—because BMI is (to an extent) arbitrary. You can argue until you’re blue in the face that being overweight leads to an increased risk of mortality, but that doesn’t mean that an individual with a BMI of 25.1 is more likely to die than another individual with a BMI of 24.9. Statistical generalizations do not define a person’s health. Based on this data, it would seem the biggest issue facing overweight people is not their weight, but social stigma. We maintain a cultural disdain for overweight people that carries serious ramifications. For example, overweight people are less likely to be hired than traditionally “attractive applicants” and face discrimination in the workplace, even if they do land the job. They’re also likely to face more relationship difficulties and even the scorn of doctors and nurses due to the stigma. Fat stigma may also be an obstacle for overweight people who want to join a gym and work out but fear being made fun of for their physical appearance. Talk about counter-productive. Abandoning the stigma surrounding fatness would arguably enable more and more people to find their own version of what “healthy and happy” means to them—without fear of reproach or stigmatization. Perfect health is a complete myth. We all exist on a spectrum from the most to least healthy among us, and these designations are affected by a huge range of factors, from genetics, to nutrition, to fitness, to socioeconomics. There is no conclusive proof that simply being overweight means that a person’s health is in trouble. Arguably, it’s more important to pay attention to one’s health habits than one’s weight. Do you eat well? Do you exercise regularly? These questions are more important than the number on the scale, which is sometimes nothing more than a distraction. When other factors like nutrition and physical activity have a far more direct effect on health, fixating on weight loss is a bad bet. It’s better to focus on the fundamentals that affect health directly. My BMI is 26. Technically that means I’m “overweight.” Does my health suffer due to my weight? Not in any way that bothers me. I eat plenty of good food and I exercise regularly by most people’s standards. I’ve got bigger things to worry about than what a nearly two centuries’ old form of measurement says about my health. It’s all at once astounding, frightening and heartbreaking to see the growing girth of not just adults but of children, as well. To hear experts from leading research institutions along with struggling individuals and families talk about it made it that much, er, bigger and more urgent. Here’s one scary statistic: In 2010, over 64 percent of people were overweight or obese, and the number continues to climb. Steering clear from becoming a statistic might seem rather obvious, yet if it is that obvious, why do people continue to struggle with their weight? Perhaps it’s too overwhelming to deal with, as life can be so complicated while people are pulled in so many directions. Maybe weight comes dead last behind the everyday and overwhelming tasks of working, caring for a family, juggling finances and finding time to exercise. Oh, I’ll think about that tomorrow, people think. I’m not really that overweight â€¦ I’m doomed because of my genetics â€¦ after menopause there’s nothing I can do â€¦ I just don’t care all that much; vanity is not my thing. But weight goes way beyond vanity. You should care: there are too many implications and reasons not to. Here are some startling facts from the series. One study showed that obese people, compared with normal-weight folks, are 83 percent more likely to develop kidney disease. Obesity costs the workforce an estimated $73.1 billion per year. In the 25 years between 1987 and 2010, the number of Americans diagnosed with diabetes almost tripled to 20.9 million. Americans should get at least 150 minutes of moderate-to-intense activity every week, according to the Physical Activity Guidelines. One in four adults gets no leisure-time moderate or vigorous activity. Foods obtained outside the home tend to be higher in calories and fat than food prepared at home. Being overweight puts you at increased risk of dangerous diseases and conditions like type 2 diabetes, highblood pressure, high cholesterol, coronary heart disease, stroke, gallbladder disease, osteoarthritis and certain cancers. Approximately 12.5 million children and adolescents aged 2-19 (17%) are obese. The percentage of children between 6 and 11 in the United States who were obese increased from 7 percent in 1980 to nearly 20 percent in 2008. Ninety percent of parents with obese children do not seek medical help. Half of all obese teenage girls will become extremely obese by their early 30s. Children and adolescents consume not only too much sugar-sweetened beverages (the largest source of sugar in their diets), but too much media, too (more than 7.5 hours a day, 7 days a week). Preschool children, according to Nielsen data, were exposed to 50 percent more TV ads for energy drinks in 2010 compared to 2008. The Physical Activity Guidelines for American children recommend a daily dose of 60 minutes of physical activity. In schools, daily physical education is sparse: only 4 percent of elementary schools, 8 percent of middle schools and 2 percent of high schools provide it. On average, kids who spend more time playing outdoors are more physically active and less likely to be overweight; they also have better blood pressure and cholesterol than those who don’t. Fact: To burn off an average serving of French fries, a 150-pound adult needs to run for 1.5 hours at a speed of 5 mph or walk for 3.13 hours at 2 mph.